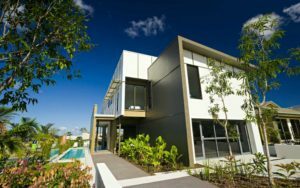 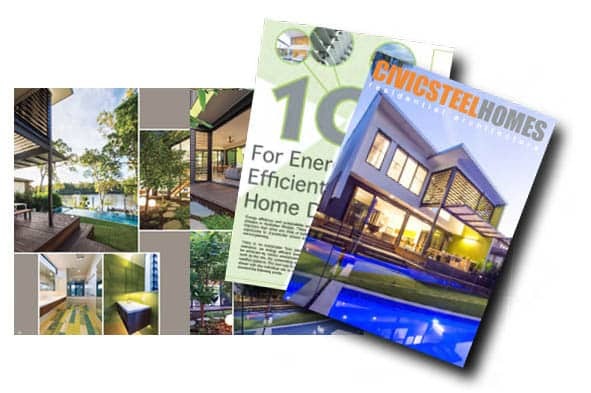 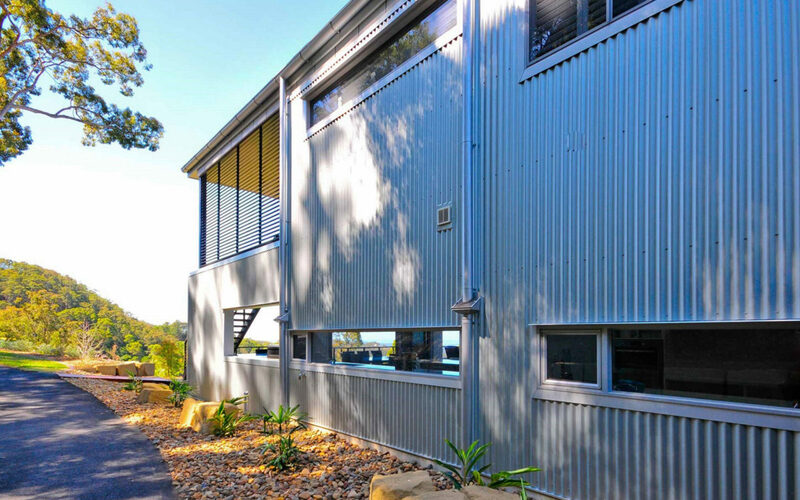 “I was delighted and relieved that Civic Steel Homes made such a smooth process out of such a difficult task, to deliver me my dream home." 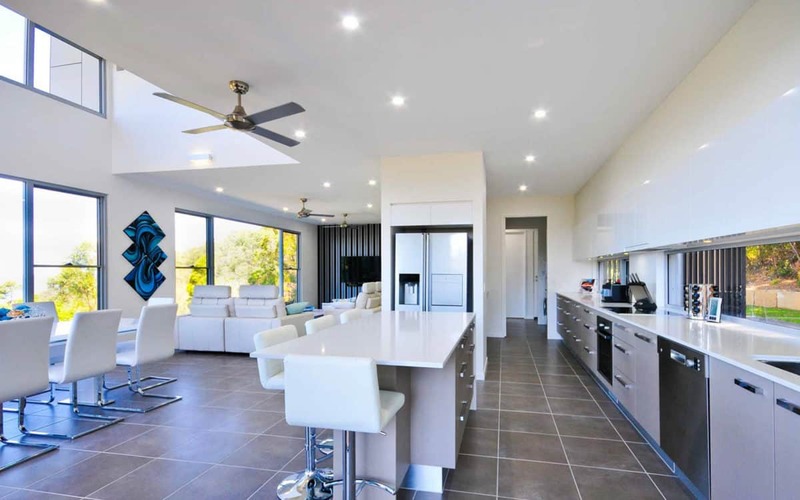 This Beechmont home is spectacular, any way you look at it. 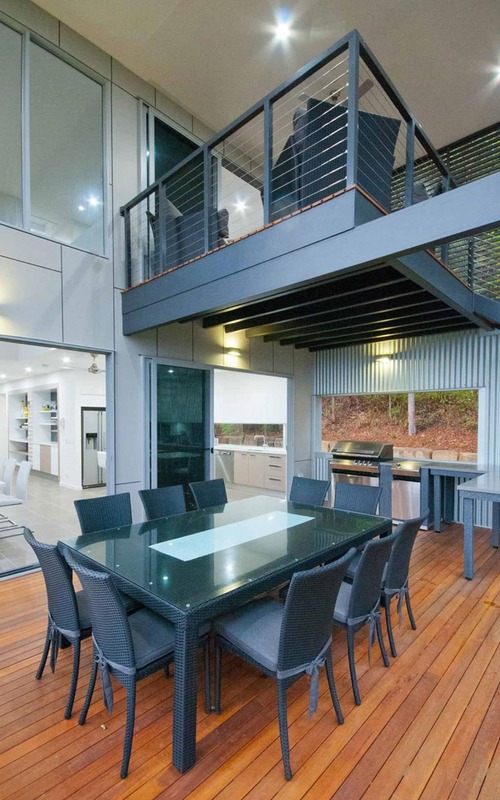 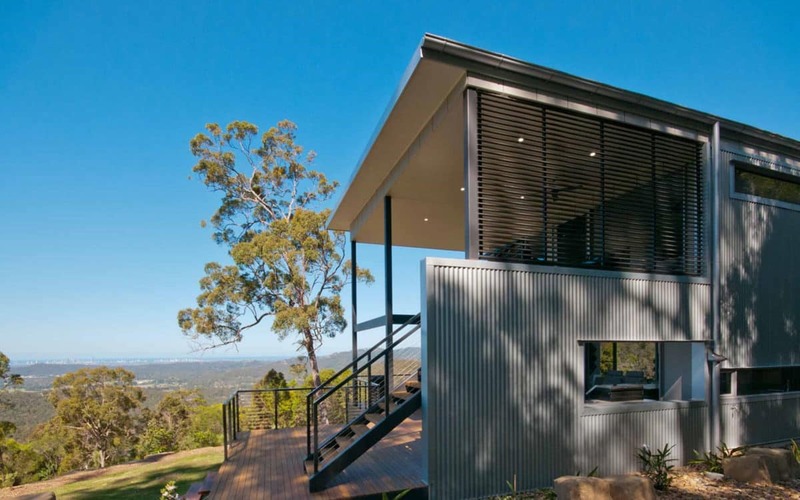 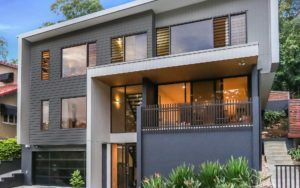 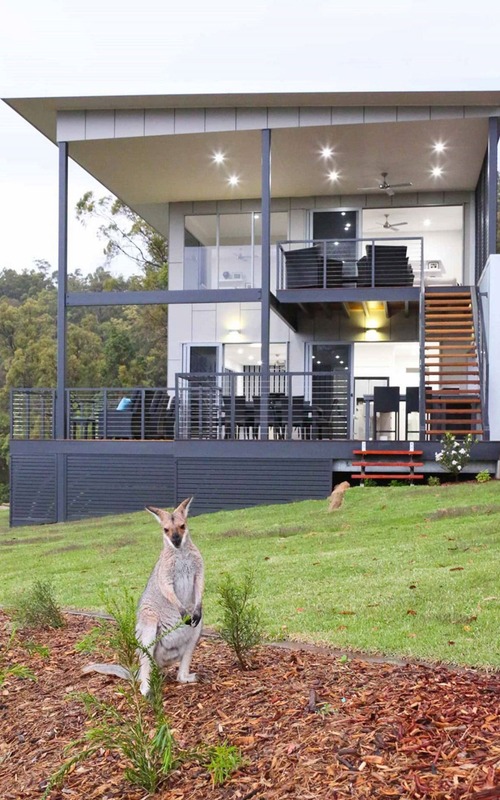 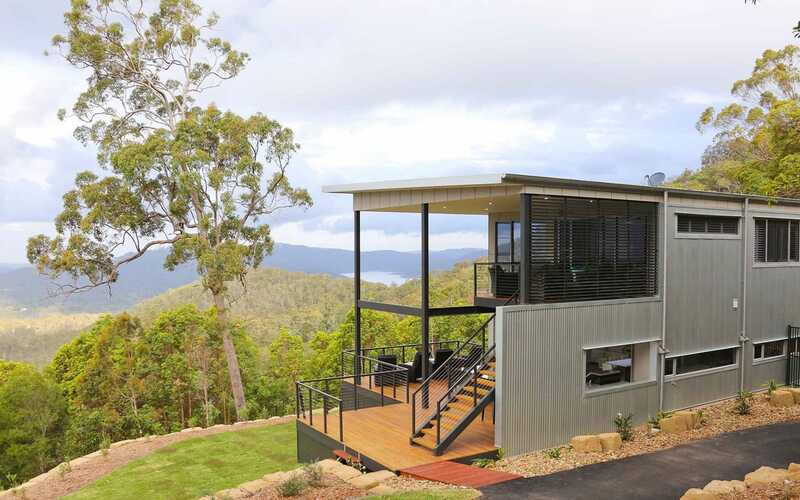 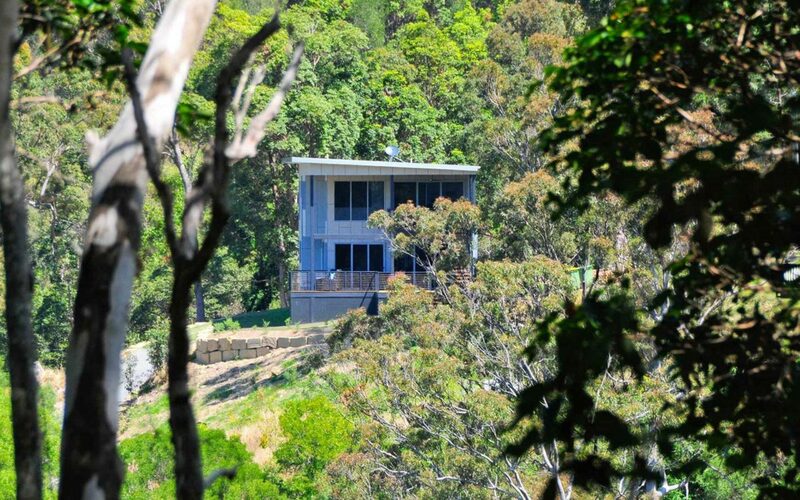 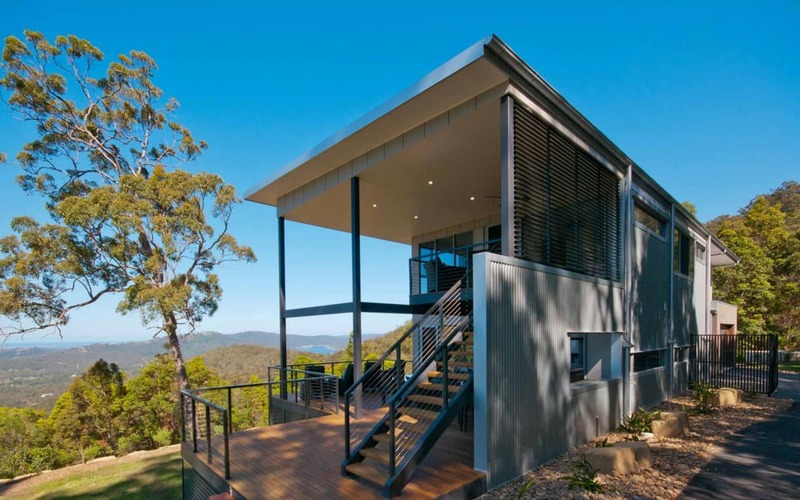 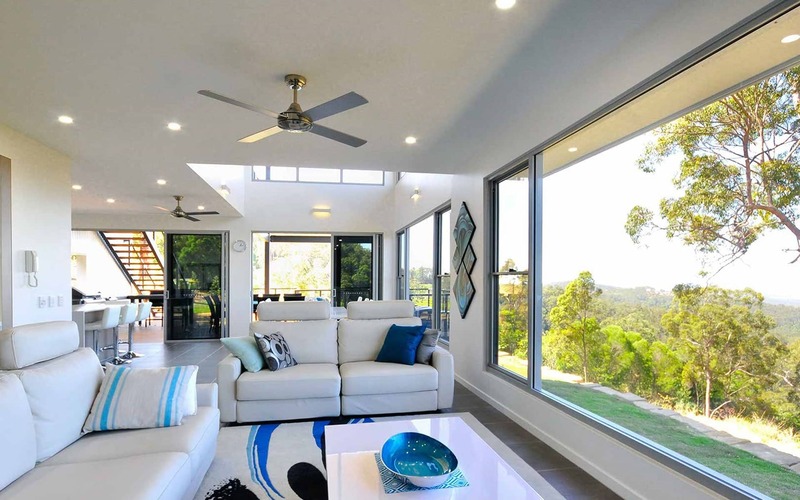 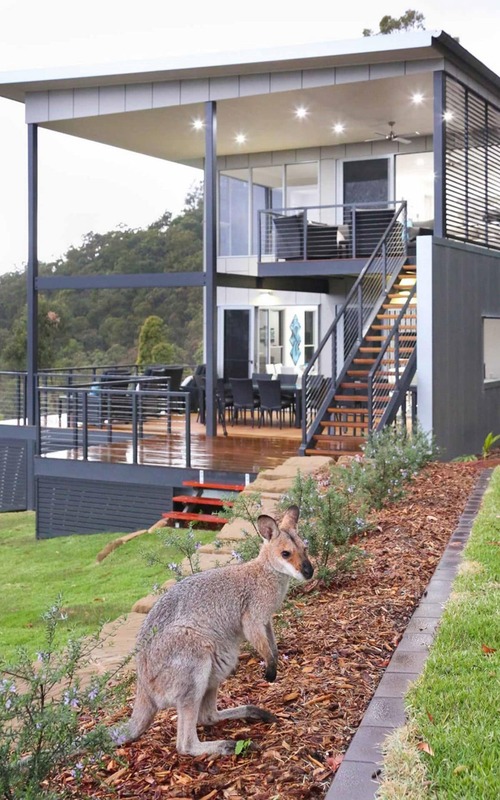 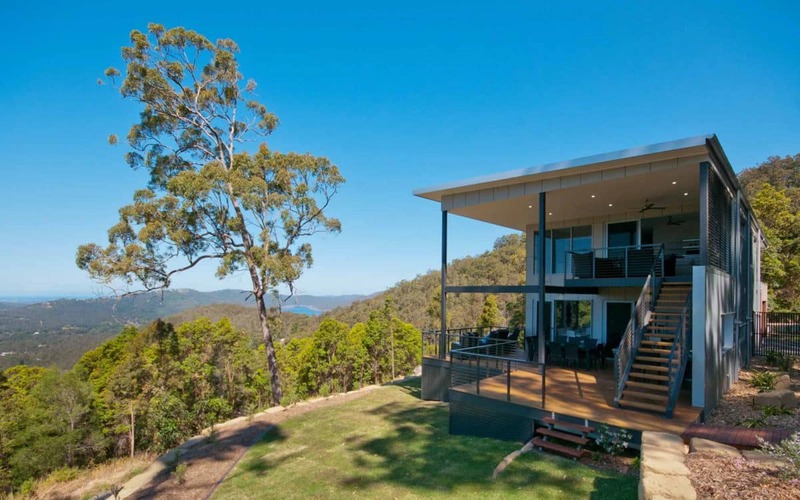 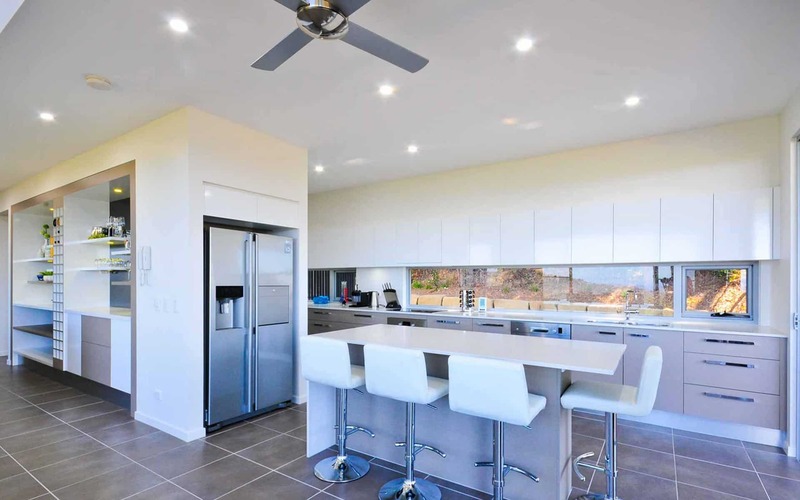 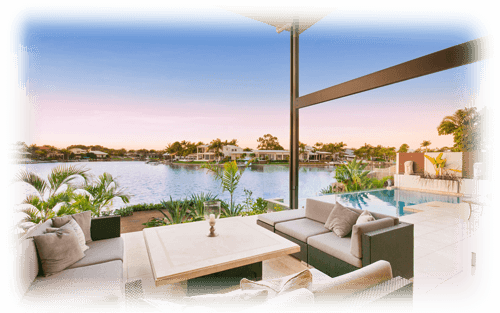 With distant views across the hinterland and to the night skyline of the Gold Coast, almost every room in this house takes in the outlook to the east and is connected to the northern decks and outdoor entertaining area. 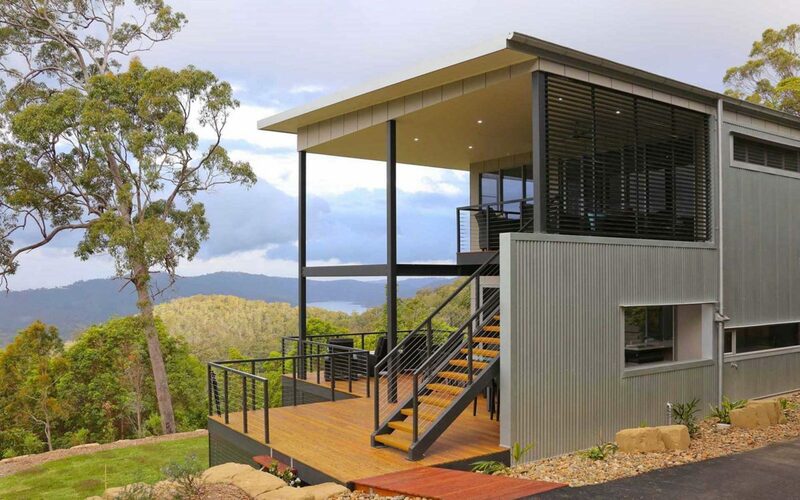 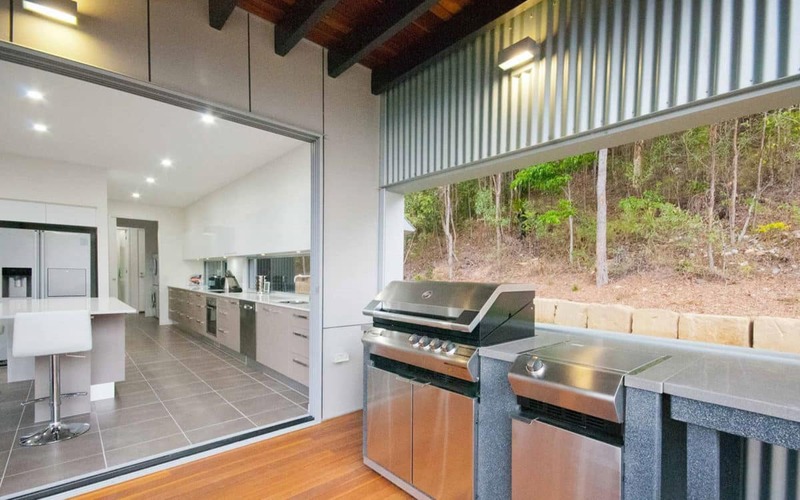 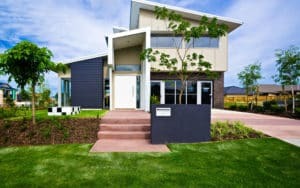 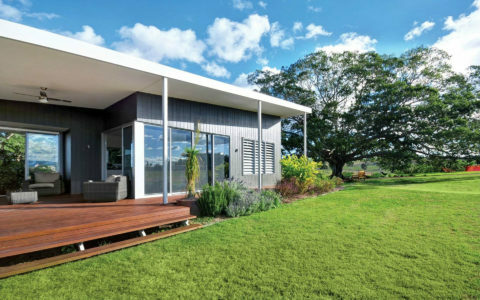 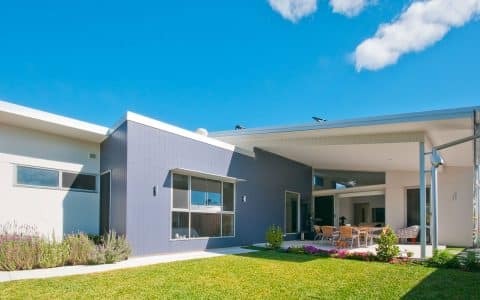 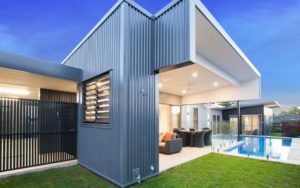 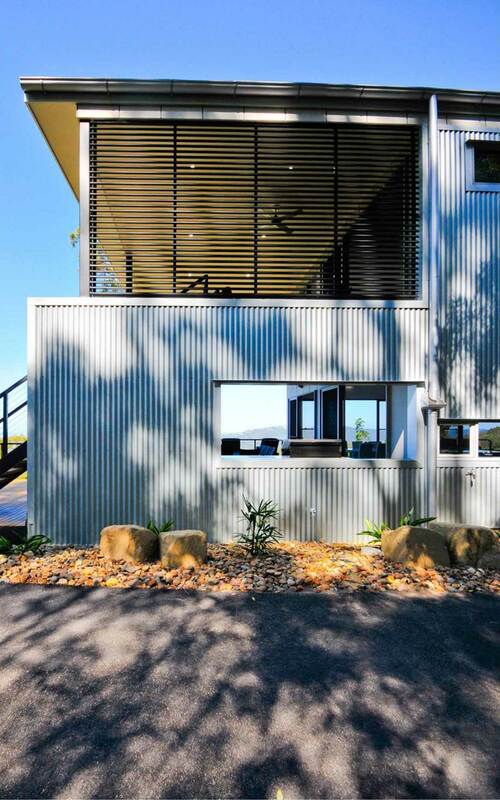 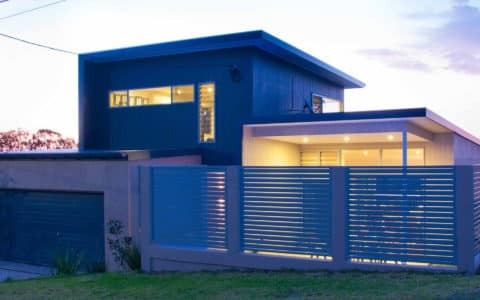 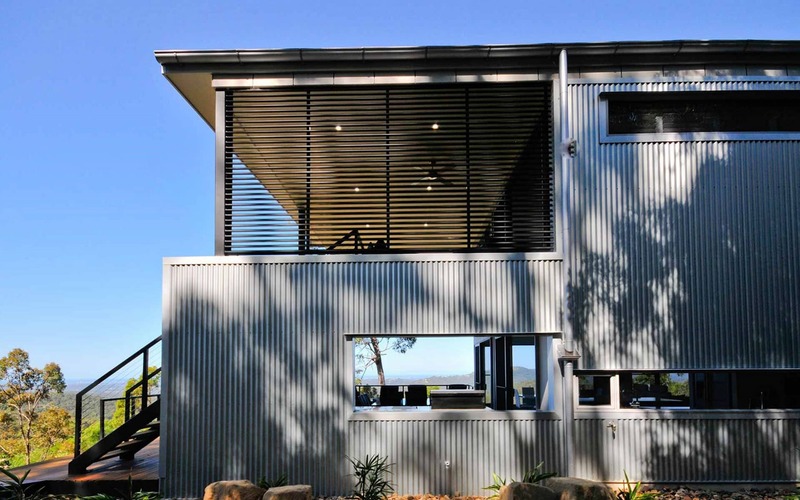 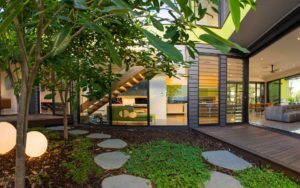 While having a formal front door entry, the approach to this home also allows for informal arrival at the large deck and barbeque area, maintaining connection with the bush and outdoors as guests arrive. 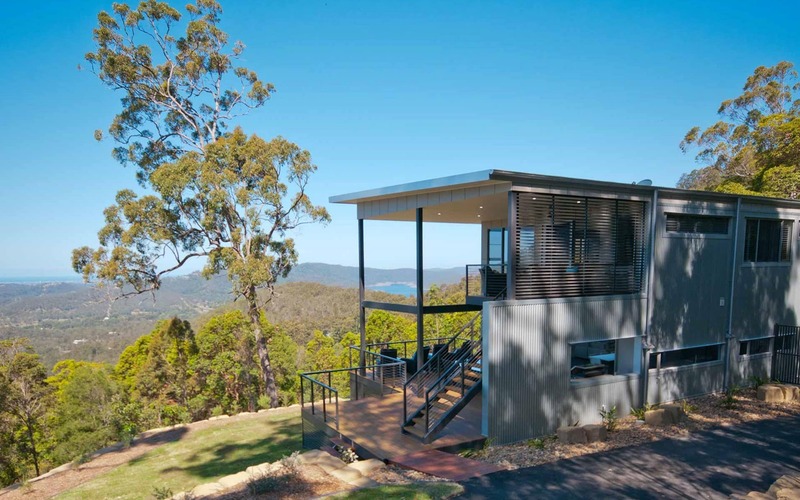 The house design had to carefully consider the slope and water flow across the site, with steep bush behind and the client has completed the terracing of these levels in quality sandstone. 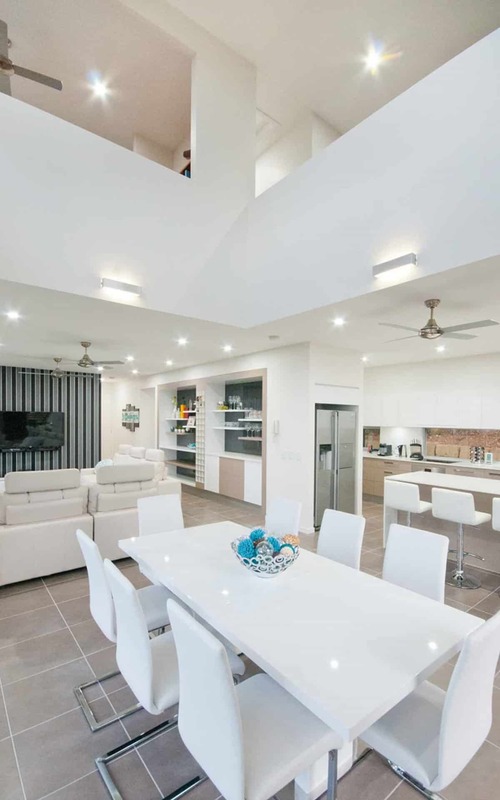 Voids to both the internal and external living areas connect the upper level to outlook below and offer a great sense of space and flow of movement from one level to the next.